We will be demonstrating how to optimize your MySQL tables. 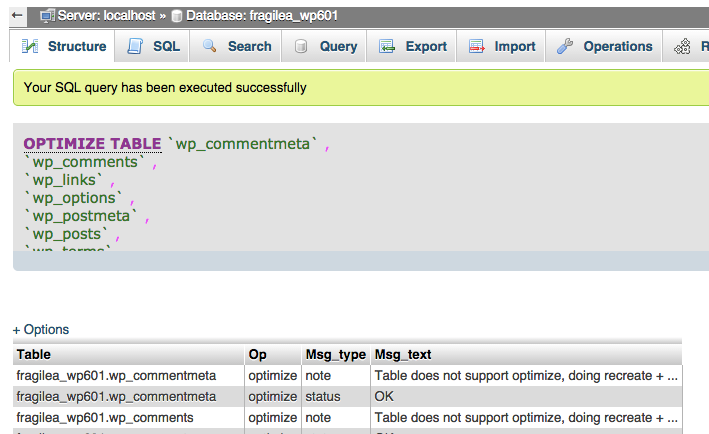 Note: Some tables can not be optimized. 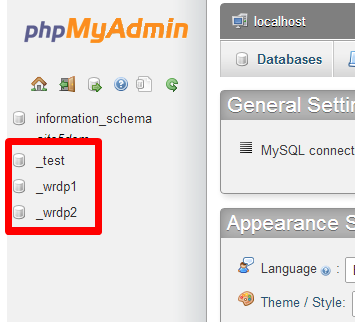 2) Select the database you wish to optimize. 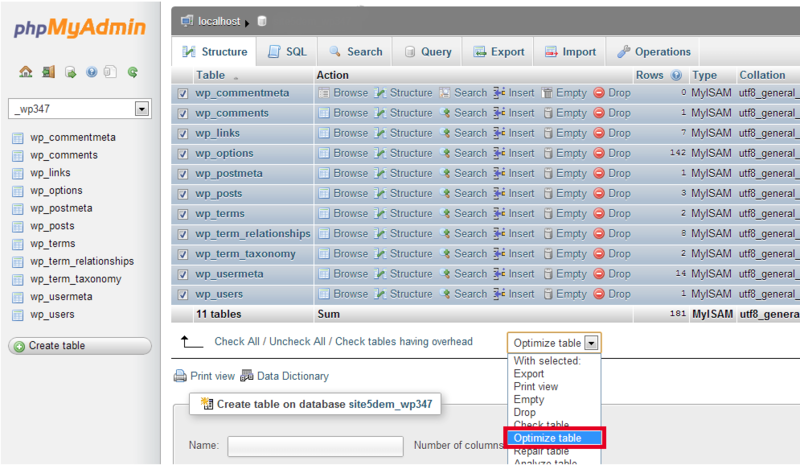 3) Select the tables you wish to optimize. Or you can click the select all link located at the bottom of the table list. 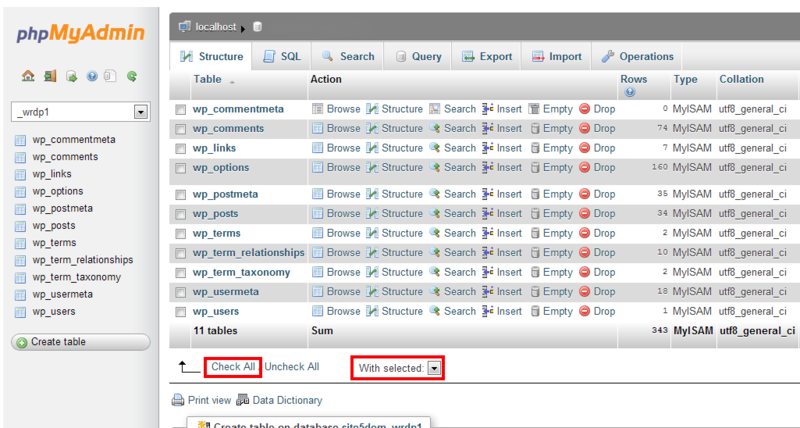 4) Click the “with selected” drop-down menu, and select optimize. 5) After it completes optimize you will see the results of it on the next screen. That’s it! You should see a message confirming the requested operation.